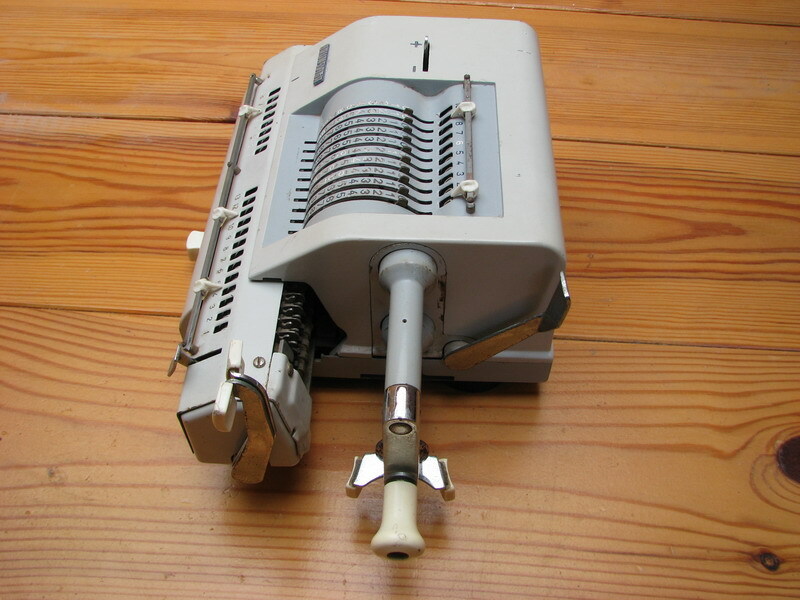 This machine was made in Spain, for the Olympia Werke after they took over Brunsviga. 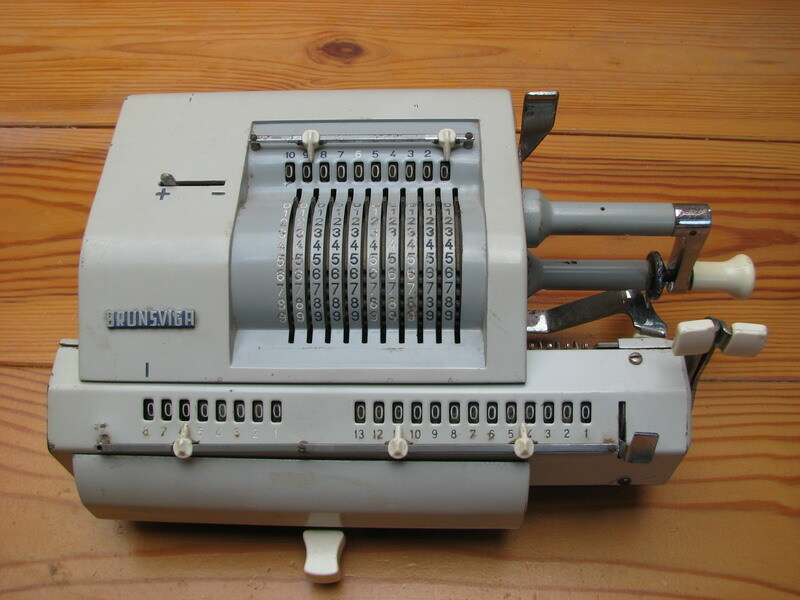 They probably wanted to cash in on the reputation for sturdiness and reliability that the Brunsviga name offered, but the machine is in fact a bit flimsy, although it has all the useful features a pinwheel calculator normally had by the end of mechanical calculator production. 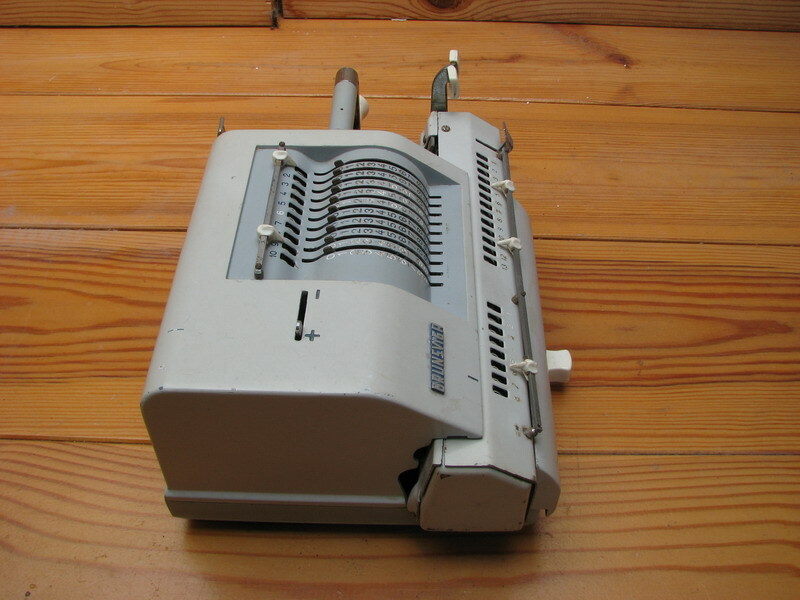 The company that was responsible for its design and production was FAMOSA (Fabrica de Articulos Mecanicos para Oficina SA), who also marketed the same machine in Spain under the name Minerva. 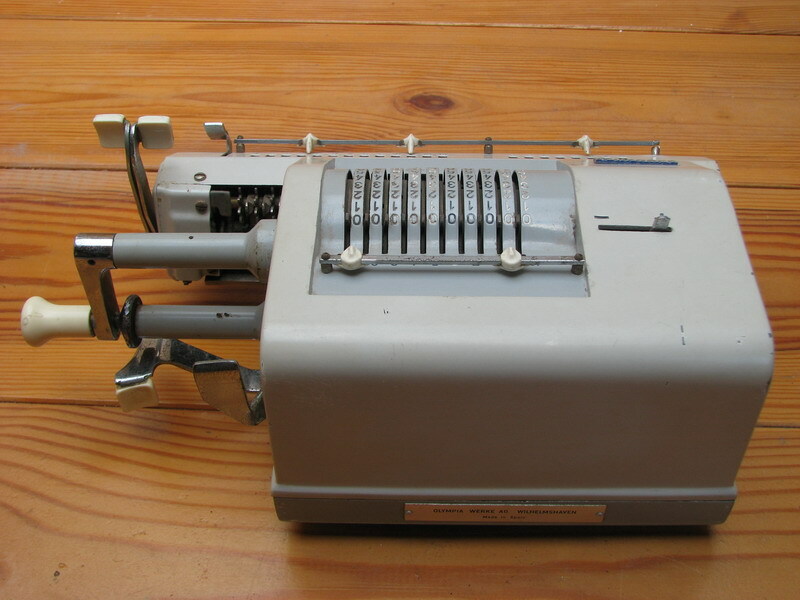 They had an agreement with Olympia, as they also produced machines which looked suspiciously like Olympia designs. They were located here . Currently it appears to be an events bureau.